Go to http://localhost:8080 to see the docs. H/T to eddiemonge over at this github thread for pointing out the docs download trick and to Andy Davies for the simple Python webserver tip. Thank you for this! 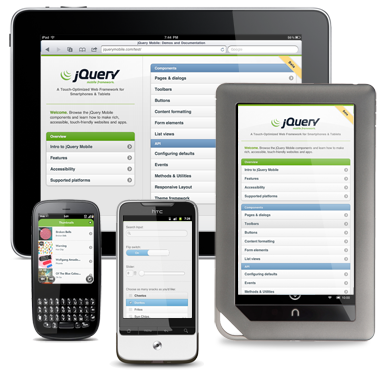 I was surprised that this link was not obviously on the jquerymobile API website!